Archives and Inclusivity: Respectful descriptions of marginalised groups. Before we can decide on how to tackle this issue we must decide on our aim, both as an institution and as a collective of information professionals. As a person of colour working in the cultural sector, I believe that combining the University’s drive for excellence and social impact with an examination of archival practices could result in fairer and fuller representations of Manchester’s communities. (2) In doing so, there would be a more vibrant and diverse range of stories to tell when these materials are used in exhibitions. This information can then be shared with the rest of the information sector to contribute to creating a standardised practice for increasing sensitivity in archival descriptions. I write this blog post with this in mind. Image one: Hottentot has been considered an offensive term for the Khoikhoi peoples since the 20th century, and the words ‘disease’ and ‘abnormal’ are othering in this context as it was usual for the Khoikhoi men and women to have figures such as this. Image two: Using the ethnicity to describe a person reduces their character to the colour of their skin. Alicia Chilcott suggests a good, better and best practice approach. Include an explanatory passage on the catalogue homepage, outlining why offensive terms appear in records and why archivists repeat these in catalogue descriptions. Provide user guidance documents for researching racial minorities, including suggested catalogue search terms, a list of relevant records and series, and an explanation of how terms have become offensive over time. A female Khoikhoi, possibly Saartjie ‘Sarah’ Baartman, with a protuberance of the buttocks.’ Watercolour painting. Originally read: A female Hottentot, possibly Saartjie ‘Sarah’ Baartman, with a disease (steatopygy), which results in a protuberance of the buttocks due to an abnormal accumulation of fat. Watercolour painting. Originally catalogued as: Love-Letters of a Japanese. In this case the name of the book cannot be changed but in amending the references used in the library catalogue it can be made clear society has changed its view on racial descriptions. I researched the names of the letter writers and used the manuscript shelf mark to hypothetically re-label the item. In both cases the all key words and references are still available for online searches and reading room requests. Are we changing history by re-labelling materials without original names? I would argue that giving archivists the support to use their skills and knowledge to catalogue the item with an amended name, whilst retaining the old one, ensures that we view the item through a progressive lens without erasing past mistakes. This in turn empowers exhibition teams, educators and the public alike. Do you expect me to re-catalogue all materials? Where will the money and time come from? The aim is not re-catalogue all old items with immediate affect, but to start a larger conversation regarding approaches to changing language to reflect society and fair representation. We can then move onto ideas around training, potential funding and how to slowly enact change. How do we know what is acceptable to say? This is a fair point as language is constantly changing and as a society we are becoming more aware of the terminology to use to reduce the risk of marginalisation. I would argue that an index and training created in collaboration with communities, groups and other information and recordkeeping professionals would result in an accurate, reliable reference document when describing archive items. The index and training would be regularly reviewed to keep up to date with changes in language. How will this conversation affect representation of other marginalised groups? In the next blog post I will discuss how, by changing archival descriptions and collaborating with all marginalised communities, cultural institutions can and empower them through exhibitions and events. Intersectional women’s voices, LGBTQ+ communities, People of colour, First People and working class communities. University of Manchester strategic plan 2020, http://documents.manchester.ac.uk/display.aspx?DocID=25548. Radical empathy means actively striving to better understand and share the feelings of others, to fundamentally change perspectives from judgemental to accepting in an attempt to more authentically connect with ourselves and others. In this case we use this term to mean: to gloss over or cover up vices, crimes or scandals or to exonerate by means of changing history through education. This post was updated on 18/09/2018 to and the title was changed to ‘Archives and Inclusivity: Respectful descriptions of marginalised groups’ to fit in a series of posts. 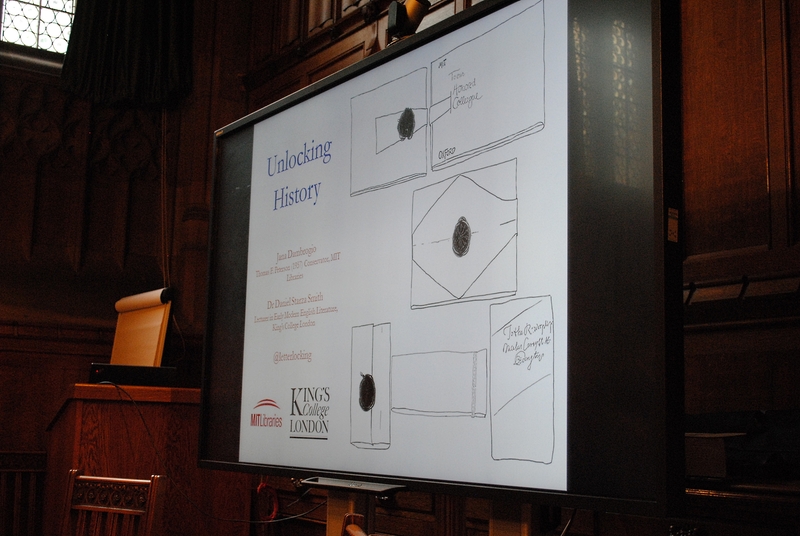 Thanks to the Western world’s love of taking souvenirs, albums of paintings on pith being a prime example, the John Rylands Library has been provided with one of its hidden treasures. They are sometimes mistakenly called “rice paper paintings”. The only common characteristic with rice it is its organic nature and, even though they come from a tree, the final sheet is not manufactured like paper. Although China opened its market trade to the Western world in the 18th century, it was not until the early 19th century when Western commerce flourished. Canton was the only port, in all China, open to foreign traders at that time, and the demand for small and tasteful souvenirs increased. This led to the use of a large amount of the small trees, tetrapanax papyrifer (fig. 1), natively grown in the area. Pith is the inner spongy cellular tissue of branches and stems of tetrapanax papyrifer and has been used in Chinese medicine, as well as production of hats, shoe soles and artificial flowers but also as a support for beautiful Chinese paintings, providing a semi-transparent and magical finish. Unlike paper, which is manufactured from wood or other fibres, the sheets of pith paper are cut directly from the pith. The trees were cut after 2-3 years of cultivation and then plunged in a pond to soak (fig. 2). The bark became tender and it was stripped off (fig.3), or the pith forced out with the help of a wooden or metal device. The pith had to be sundried quickly to retain its whiteness, otherwise they could discolour or stain easily. Mastering the cutting of pith is a complex art. A special knife is slightly indented into the pith, kept steady and the pith is rolled, slicing away a continuous layers and a sheet is formed (fig 4). No scraps are wasted; the big sheets are destined for paintings, smaller ones to make delicate, decorative flowers and the shavings used as stuffing for pillows, among other uses. The bigger sheets of pith are piled up making bundles. Once this process is finished they are ready to be painted and they are distributed to the artisans. The oldest known Chinese pith painting dates from the mid-1820s and they were popular until the 1860s. The themes of these paintings were aspects of Chinese life, an intriguing and attractive subject to foreigners. They depicted professions, arts and crafts, nature such as plants and insects, and the fine paintings of costumes of the Manchu emperors, empress and officials (fig.5). Figure 5. Chinese Drawings 46 JRL. The artisans in the workshops were painting the pith sheets using watercolours and gouache. Watercolours have more transparency and the particles of pigment are smaller than gouache. Sometimes they were used to paint details, like the faces, on the reverse of the pith, playing with its transparency, and to add the magical effect (fig.6). Gouache, on the other hand, contains chalk and is more opaque than watercolour; it was often used for the highlights in the paintings. In general, the palette was formed by quite vivid colours. Figure 6. Chinese Drawings 44, JRL. Detail of the watercolour on the cheeks through a magnifying glass. Once completed, each pith painting was traditionally placed on Chinese or Western paper as backing. The pith edges were held down with Chinese silk ribbon or coloured paper only adhered directly to the paper, not pith, due to its sensitive nature (fig.5 and 7). The pages were then bound between album covers most commonly in groups of twelve. Each album usually depicted a single subject. Figure 7. Chinese Drawings 146, JRL. If we look closer to the pith we can see clearly the porous structure of the cells (fig. 8). This is because the pith is composed of soft, spongy parenchyma cells, which store and transport nutrients throughout the plant. The sheet is not made by a mesh of fibres, like we find with paper, but a direct transversal cut of the plant, keeping the structure intact. Due to this characteristic, it creates a velvety translucent surface, allowing the paint to enter slightly into the cells creating a three dimensional effect which differs and makes it special from other supports. The consequence for that uniqueness is that the structure is delicate; it becomes quite brittle with time and is very sensitive to changes in environment, tending to tear and stain easily with fluctuations of humidity and temperature that could rapidly deteriorate the object. With time it loses its flexibility and the pages of the albums are not safe to turn, they can’t be allowed to flex so need to be fully supported and kept rigid when turned, which it complicates its handling. Figure 8. Structure of the pith. Detail from the base on the right at Chinese Drawings 146 JRL in figure 7. Another obvious feature is the lines that tend to run horizontally through the surface of all pith supports (fig. 9). Within a sheet these lines are about evenly spaced but may vary between sheets. They are the result of the manufacture of the pith, which was cut with the steady held knife similar to the chain lines of paper but completely unrelated. Figure 9. Chinese Drawings 45 JRL. Detail of the lines on the surface created by the special knife during manufacture. The reason for highlighting pith paintings and the Rylands Chinese Drawings collection is not only to share and highlight the delicate and magical nature of these items but to explain why we took the pith out of the “Alchemy of colour” exhibition in The John Rylands Library. The fragile nature of these drawings could not be safely displayed for the duration of the exhibit, however Collection Care wanted to share the intended page with you, and a few others. The importance of Chinese Drawing 146’s opening is the detail in one of the bases at the centre of the painting (fig. 7), portraying several tools and brushes. It is an interesting feature which illustrates the type of tools used on the production of this type of drawings and it’s quite unusual to find this information depicted in this sort of painting. Figure 10. Chinese Drawings 146, JRL. Detail of the tools from figure 7. I would like to thank to Carme Miquel for the wonderful drawings from figures 1 till 4, the Heritage Imaging team for the great resolution photographs of Chinese Drawings 146, and the editing help of the Collection Care team. In January, the conservation team prepared some purified isinglass. Isinglass is a type of glue made of fish, more specifically the dried sturgeon swim-bladder membrane. This adhesive offers different qualities for conservation treatments, such as good ageing properties, flexibility and light fastness. Isinglass is widely used for conservation treatments, for example the consolidation of pigments, repair of parchment or prepared as remoistenable repair tissue. However, isinglass can’t be used in its raw form. Starting with sheets of the fish membrane, the isinglass must be dissolved, purified and prepared in a form ready to use. The full procedure takes approximately 3 days. After weighing the desired amount of dried glue, the sheet is carefully cut in small pieces of a few millimetres length. The pieces are covered and left to soak overnight in deionised water. The glue is then sieved, gently massaged then, divided into equal parts, and put to dissolve in fresh deionised water. The water is gently warmed in a bain-marie at 29 degrees, and frequently stirred up to facilitate the dissolution. At higher temperatures, the gelatine of the glue starts to degrade and its structure and properties are then altered. 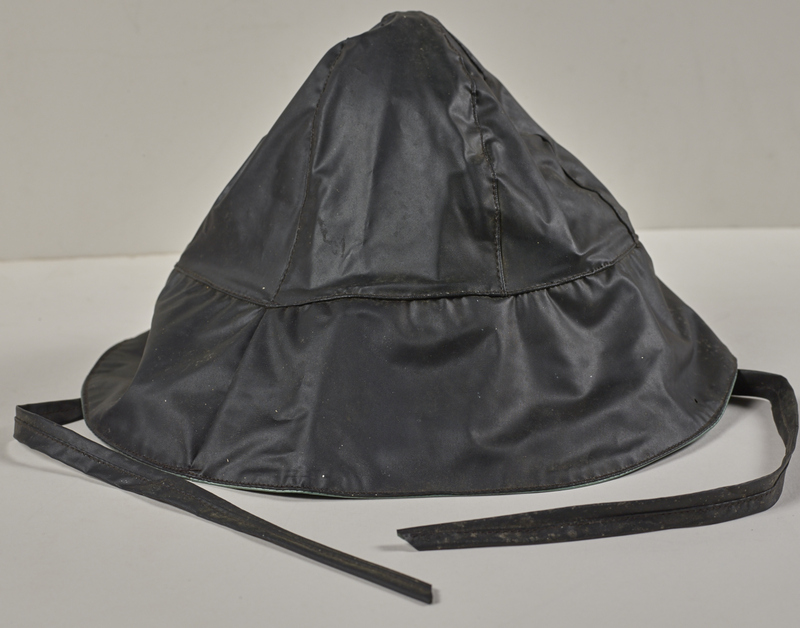 When the dissolution is completed, the isinglass is sieved twice through a thin muslin cloth to remove any impurities. The discs can then be prepared! Using pipettes, small drops of glue are carefully spaced out on a sheet of Melinex©. The drops need to dry whilst covered, protected from dust and impurities. This takes usually between 12 to 24 hours depending on the weather conditions. The discs can finally be peeled out of the Melinex and stored in a jar. The discs are now ready to be diluted in water, warmed up in a bain-marie and used as an adhesive in a conservation treatment. Keep an eye out for our next blog to see it in action! As part of the preparations for the Colour exhibition opening in March ‘18 at the John Rylands Library, Collection Care had a visit on 25th October from Dr Maurizio Aceto, professor of analytical chemistry at The Università degli Studi del Piemonte Orientale, Italy, and Cheryl Porter, Medieval pigment expert. Maurizio analysed purple media used in several manuscripts and early printed books using fibre optic reflectance spectroscopy (FORS) to identify the colorants. FORS is a non-destructive test that has been used for over two decades for the identification of pigments. Light, via fibre optics, is directed to the object and the reflected/non-absorbed light is collected and analysed by a spectrometer. The resulting information is graphed and compared to a library of data to find a match from known pigments. The manuscripts analysed included Latin 87 (see photograph above), a 10th-century gospel book illustrated with paintings of the evangelists surrounded by purple. Purple manuscripts were produced in Europe throughout the Middle Ages for Kings and Bishops. The purple colorant was identified as Orchil, a dye made from lichen, instead of the Tyrian purple it was assumed to be. It has been a very interesting experience and useful to corroborate our findings regarding pigments from other analytical methods e.g. multi spectral imaging and polarising microscope. Today two patient men have calibrated our environmetal monitors all day. 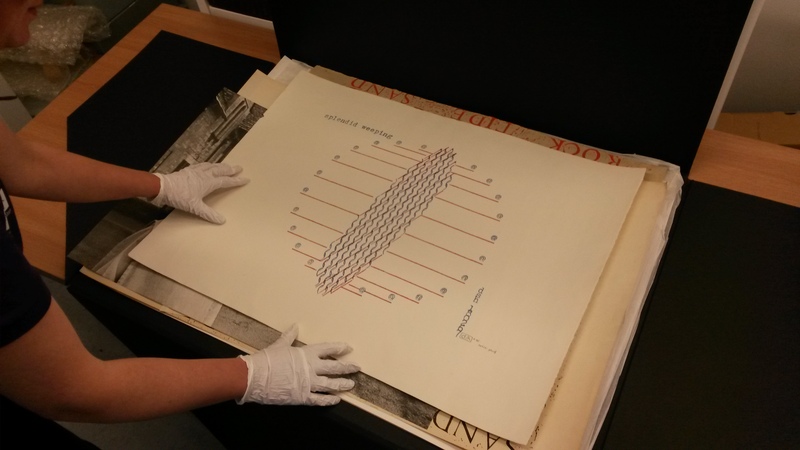 Niki Pantazidou and Gill Birch, two conservators of the collection care team have collected 50 odd monitors distributed across the labyrinthic architecture of the John Rylands library. Regular recalibration of our wireless environmental monitoring system is essential to maintain accurate and reliable readings and to make sure our collections are contained in the best environment possible. Behind the Scenes of an Exhibition: Hard Decisions! This week we met with our colleague Elaine Sheldon from the Conservation Team to discuss display proposals and concerns about some of the objects we are hoping to show in our Life of Objects Exhibition. One of our hardest decisions is trying to narrow down our choice of material so that they will fit into the display cases, without looking cramped or damaging the items, but that the selection continues to reflect the themes and stories we wanted to tell. A member of the library’s collection care team is assigned to each exhibition; our role is to look after the objects ensuring they are not damaged by handling or display. We work with the curatorial team assessing the suitability of objects for exhibition; we also mount the exhibits and install the objects in the display cases. Life of Objects is a lovely exhibition to be working on because the objects on display are from the libraries rich visual collections. The selected objects are made from a variety of materials and range in date from the 17th to the 20th century. A condition report will be completed for each object; this report will describe the condition of the object and document any areas of damage before the object goes on exhibition. The objects in the exhibition will be displayed on textile covered boards which will be made in the collection care studio. 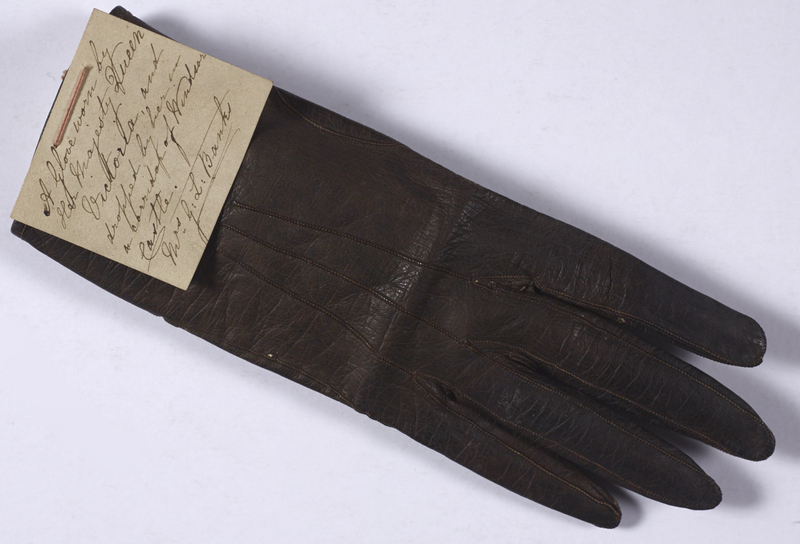 Other objects will need further support including a glove belonging to Queen Victoria, from the Burney Collection, which has been selected for the exhibition. It was exciting to see how Elaine would tackle the content of this exhibition as the library’s usual exhibitions focus on books and literary works, not objects. Elaine’s expertise was really valuable; she instantly recognised issues related to the materiality of our objects, which made it slightly easier to discount some of our favourite items. Her understanding of how and what would work visually and practically was fascinating and it enabled us to look at the objects we had chosen from the group’s perspective rather than just a curatorial point of view. 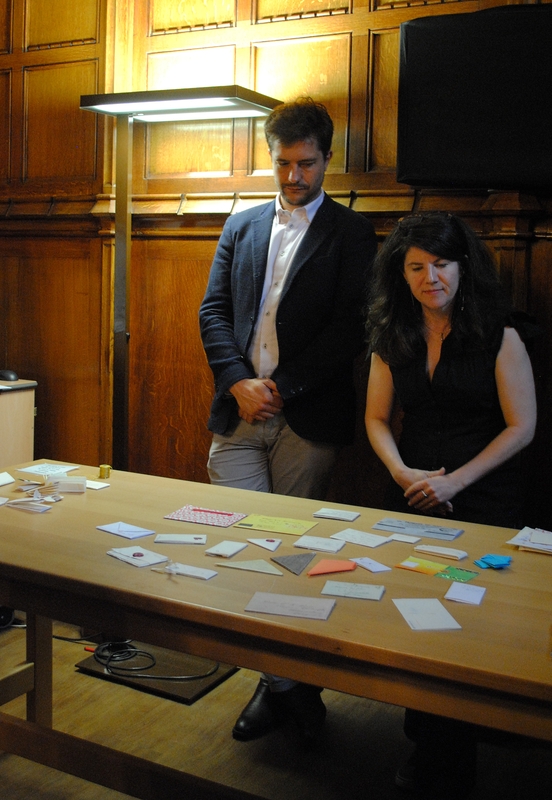 Understandably there were some items that could not be displayed; one example of this was the large typescript artwork “Splendid Weeping” by dom sylvester houédard, (seen with Elaine above), which proved difficult to fit in the case. Luckily Stella has discovered a mini version of Splendid Weeping that fits perfectly. Another reason for discounting certain items was due to them being considered for future exhibitions, for example Li Yuan-chia’s sou’wester. Our meeting with Elaine showed just how important it is to have input from all of the people involved in the planning of an exhibition to ensure the best possible outcome for the objects, the visitors and the team involved. We had some debate about how to display the objects, what colour backing boards to use and an animated discussion on whether to label or not to label, or rather how to label the objects. This may just be the precursor to the big debate on panel boards! Next stop our colleagues from the Heritage Imaging Team. Behind the scenes of an exhibition: or everything you wanted to know about exhibitions, but were afraid to ask. Chinese cut-outs from LYC Archive. Over the last twelve months we have been enhancing the boxlist for the Li Yuan-chia archive with the aim of opening up the collection to researchers and a wider audience. During the course of the project we have published several blogs, celebrated Chinese New Year with a collections encounter and discovered a love of all things LYC. We came to realise the importance of the objects in the LYC Archive and their ability to elicit an emotional response. They acted as a visual stimulus evoking a sense of time and place, giving a personal value to often inconsequential, everyday items, which chimed with artefacts from our own lives. As a result of our enthusiasm for the objects we came across in the Li Yuan-chia archive and the collection of Banksiana Relics belonging to the author Isabella Bank’s, we were invited to be involved in the planning of an exhibition with the proposed title of The Life of Objects, which is due to run from 16 March 2017 – 27 August 2017 at the John Rylands Library. As newcomers to the world of planning exhibitions we were surprised and a little daunted with the amount of preparation required to bring everything together. Who knew that there was a Content Hierarchy, an Interpretation Strategy, an analysis of the target audience, we’re aiming for Commuterland Culturebuffs apparently, or that it takes nearly a year of planning to get an exhibition in to the cases and open to the public? As well as the enjoyment of ‘showing off’ objects from the collections and discussing our concept at a recent workshop, there is the added bonus of working with colleagues from different teams within the library as a whole, not just The Special Collections team. We are looking forward in the coming months to hearing more about the various roles (and expertise) needed to make an exhibition a success. As representatives of the curatorial team (under the expert guidance of Stella Halkyard), we have made our suggestions as to which objects we would like to include in the exhibition. The next step for us is to meet with a colleague from collection care who will advise us in the matter of conservation issues relating to our chosen objects. We’re hoping that we can show everything on our list! This is only the beginning of our exhibition ‘journey’. Watch this space as we decide which objects stay and which don’t make the final cut for the exhibition. Find out whose stories we tell and how the objects from our collections enhance our understanding of them as writers and artists. Can we fathom why we keep some items and discard others, how do we determine their sentimental value and what it tells us about who we are. Our next instalment follows shortly.